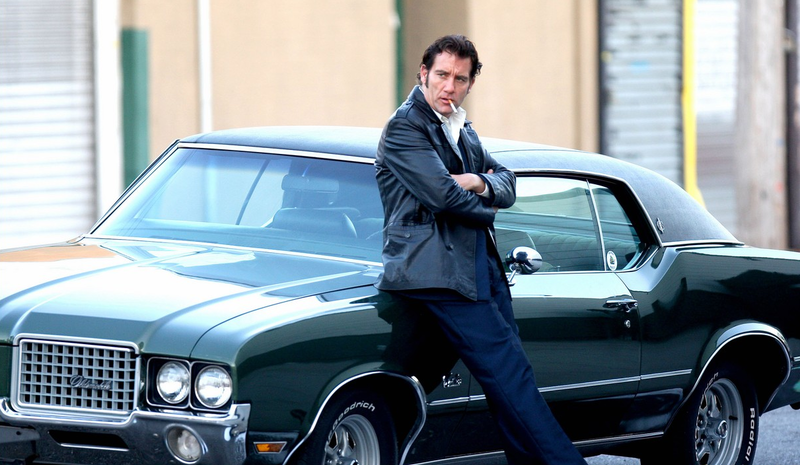 In Brooklyn, 1974, a livewire ex-con called Chris, played by Clive Owen, meets his brother Frank outside of prison. Billy Crudup is Frank, an essentially decent cop in an essentially understated performance. Chris, on the other hand, is prone to armed robbery and fits of psychotic violence. His redeeming feature is seemingly his hard-bitten loyalty to his family; he'd do anything for them, with the exception of ending his criminal ways. The tension between the brothers increases as Chris' bad behaviour comes to bear on family relations; police pressure is put on Frank to bring his brother under control. Blood Ties is an ambitious period crime drama, directed by Frenchman Guillaume Canet and co-written by the well-respected American auteur James Gray. Part of the problem is that any sense of genuine '70s grit is dispensed with. So, too, is the taut narrative economy that marked so many seventies genre films. With frequently loud but rarely interesting supporting roles for Marion Cotillard, Mila Kunis, and Zoe Saldana, Canet is clearly more interested in the inextricable links between the two brothers. Those links are tested by their obsessive pursuits of oppositional career paths; the archetypes of the cop and the criminal become the stuff of domestic drama. Yet the characters never seem fully sketched out. They all revolve around one another in complex movements, shouting and crying. And because we lack any connection to them, their histrionics seem distancing - even silly. Blood Ties comes off as a buttoned-down and tasteful relative to David O. Russell's campy 70's crime caper, American Hustle. It maintains the dodgy Brooklyn accents and signpost jukebox soundtrack. But in its striving for a more muted, stylish variation on the genre, it becomes one thing that I daresay American Hustle is not: a little bit dull. The Iceman, a recent period film in a similar vein, had many of the same problems. It, too, had style in spades, attractive production design and ostensibly talented actors involved - in this case Michael Shannon and Ray Liotta. And it, too, was unjustifiably po-faced, something that Blood Ties inherits. That isn't to say the film is entirely without merit; Billy Crudup is a memorable and nuanced performer, and James Caan, as the hard-as-nails family patriarch in declining health, is notable. Cotillard, too, is difficult to diminish, even when her role is underwritten. As such, Blood Ties is peppered with promising scenes, whether it be a cathouse police bust or a tense family dinner. Its conclusion, too, is crisp and engaging. Overall, though, these glimmers cannot sustain what otherwise feels like drudgery. Blood Ties aspires to be a formulaic, retro genre piece, complete with macho back-slapping and painfully sincere tough-guy pathos. For whatever success it has, it remains tedious in the extreme.